A lovely area of winding lakes and mountains well south of the high border ridge. Very rugged and remote. All camping is forbidden here. 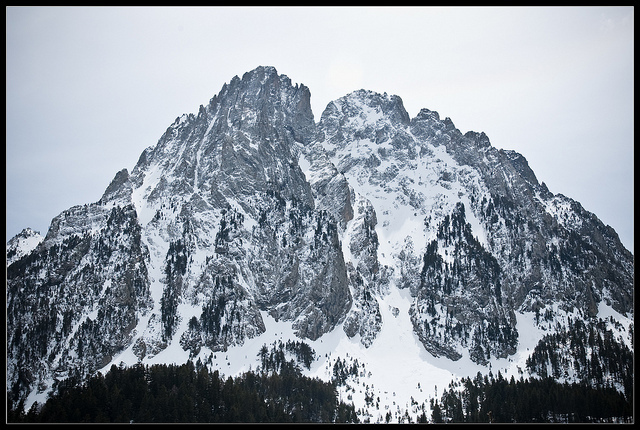 This is classic tough, rugged granite landscape, think a myriad of lakes and ponds, areas of harsh bare rock, high plateau and even higher serrated ridges and vertiginous peaks, some over 3,000m. A huge range of superb walks in wild and empty landscape. There are particularly attractive-sounding long day tours of the area. An area so huge and interesting that the Cicerone guide graces it with two separate chapters. This page is at an early stage of development. Please help us by making suggestions and sending photos! Thank you! For more information and photos, including on wildlife and the landscape and including detailed practical information and some warnings, see our French Pyrenees walk page. From Paul Taylor - Walkoepdia says THANK YOU! Hi Walkopedia. 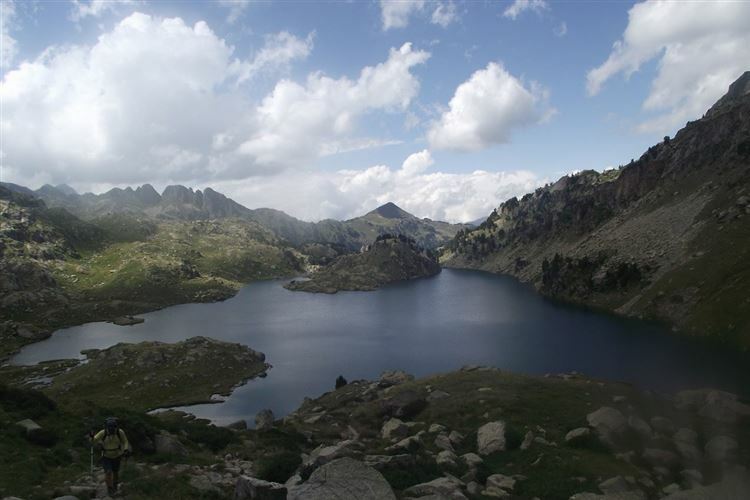 Here is some general information, pics, and walk ideas on Aiguestortes and Estany Sant Maurici national park. We went last year and I loved it. 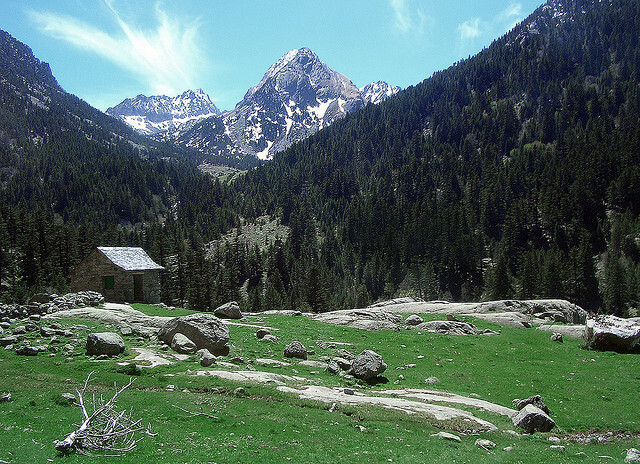 I think that it is a hugely underrated area and in my opinion the most beautiful walking area of in the Spanish Pyrenees (although Monte Perdido/Ordesa pushes it close). I also found it difficult to find info on hence me sending this information if you can use it in anyway. 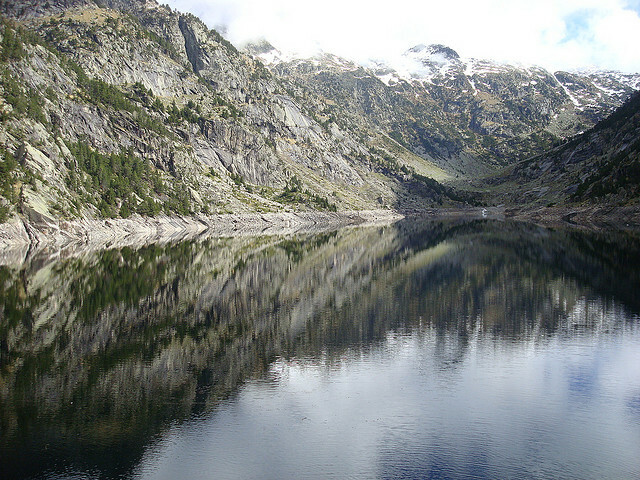 Aiguestortes and Estany de Sant Maurici National Park Maps: Editorial Alpina Parc Nacional d’Aigüestortes i Estany de Sant Maurici is a two part 1:25000 map which covers the whole of the national park. Getting there: Car drive from Barcelona airport is approximately 3 to 3.5 hours. Bases: Espot was the base for most of our walks but Boi in the south is another option, as are the villages in the Val d’Aran to the north. Espot has plenty of good value hotels and some self catering apartments, and enough bars and restaurants to keep you ticking over for a week. Walks. 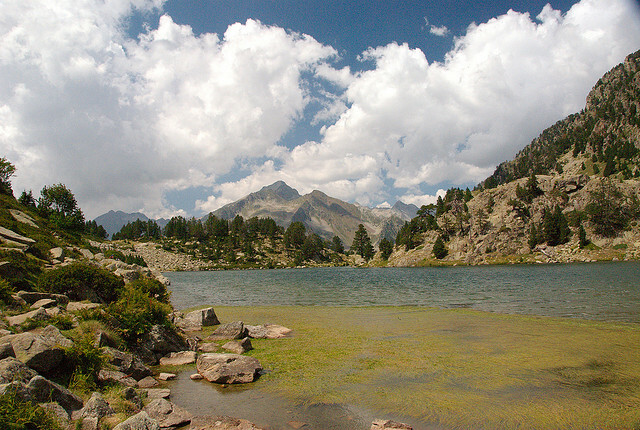 There are walks to suit all needs in Aiguestortes. 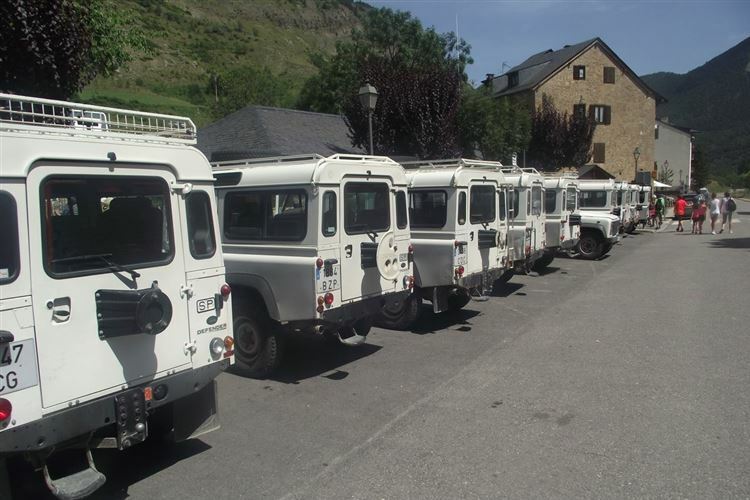 The national park is a car free zone with 4x4 taxis available to take you from Espot into the national park (from 10€ return depending on your destination). 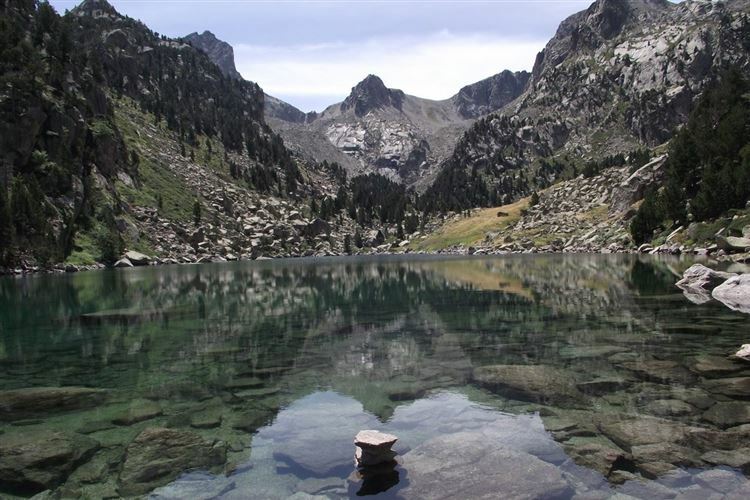 It is possible to walk from Espot but I would recommend saving your legs for the good stuff that is available from the beautiful lake of Estany de Sant Maurici and beyond. Tickets need to purchased from the ticket office in Espot before travel, or from the booth in the car park at Bahns de Tredos There is a network of of refugees throughout the national park. The ‘Carres de foc’ (charriots of fire) http://www.carrosdefoc.com/en is the route which links all of these refugees together and it is possible to complete these in around 5-7 days. Alternatively you could book a night in one of these for good two day walk. 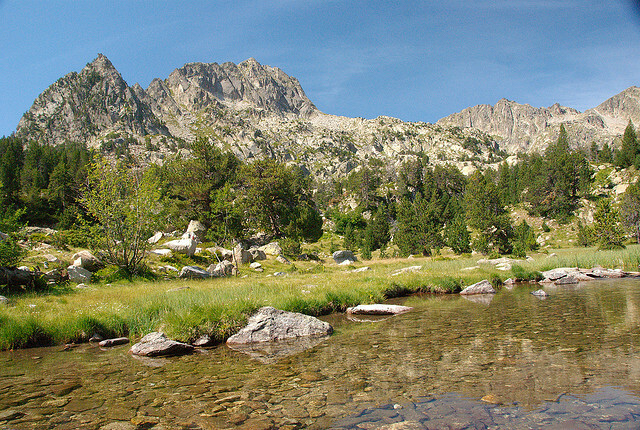 Amities and JM Blanc are two of the best with great mountain views but will need to be booked well in advance if you are walking in July or August. 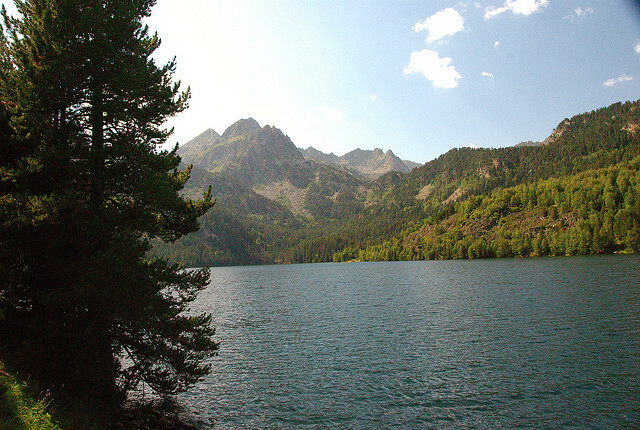 Easy walks from Estany de Sant Maurici: Estany de Sant Maraurici to Val de Subenuix Estany de Sant Maraurici to Val de Monestero There two simple valley walks are 5-6km returns from the taxi drop off point to the two valleys on the south side of the lake. 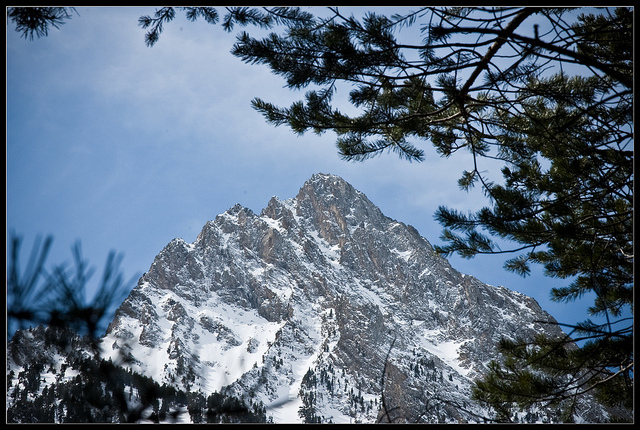 Both take you past crystal clear lakes into beautiful valleys. Walking is easy and there are plenty of picnic points on the way. Keep your eyes pealed for Vultures circling high up above. 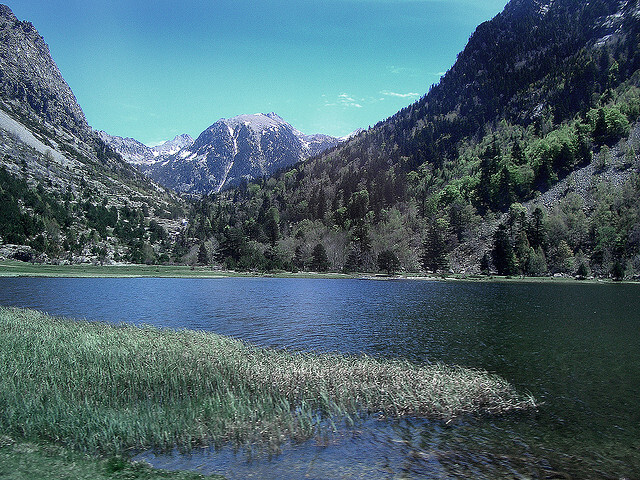 Moderate walks Estany de Sant Maurici - Amitges - Estany de Sant Maurici. 5-6 hours. approx 500m of ascent and descent. 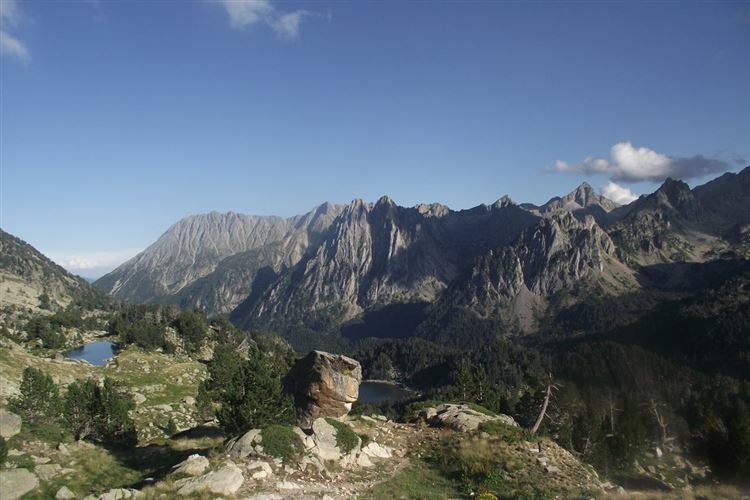 This circular walk starting from the taxi drop off point takes you up the Amitges refugio which has splendid across to the twin peaked mountain of Els Encantats and the lake. The walk takes you up hill on a trail through pine woods with great views of the lake and Els Encantats and Monestero to your left. 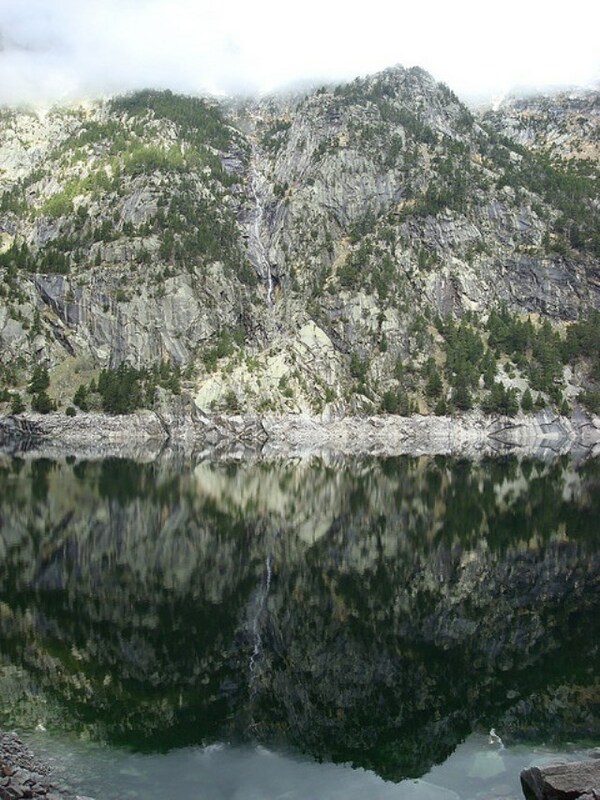 You will pass the Ratera waterfall before hitting the 4x4 road that takes you by Estany de Ratera. There path follows the 4x4 route all the way up to Amitges and it’s fabulous views. 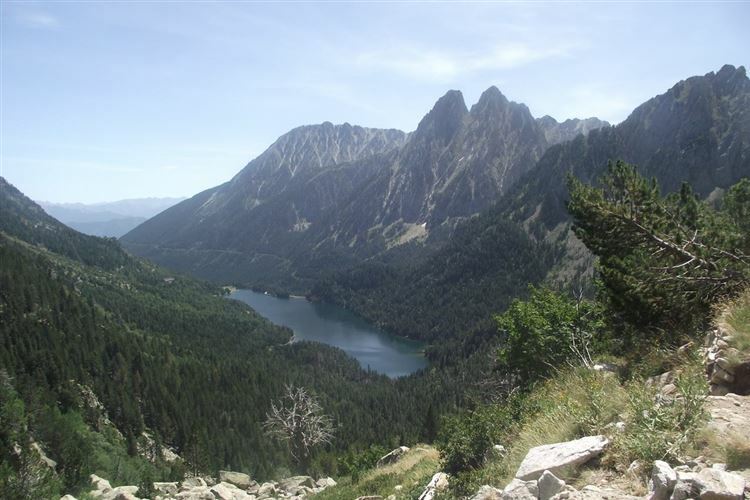 The route back takes you south via the viewing point of Mirador de l’Estany passed where the paths split up hill for for the Portarro d’Espot and downhill towards your destination of the Ernest Mallafre refugio. From here it’s a short walk back to the taxi pick up point. 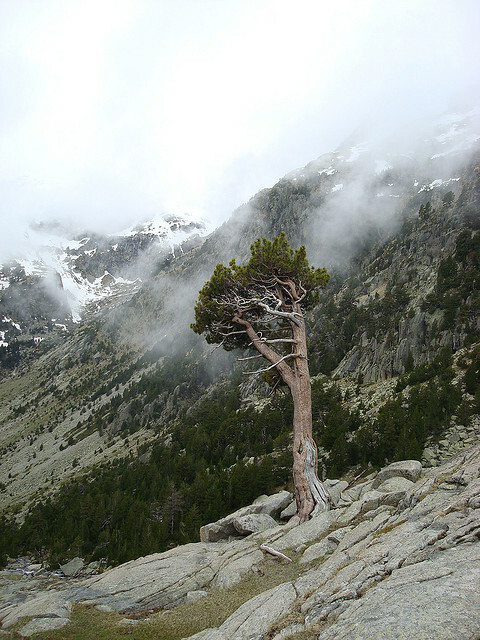 There are some more interesting walks starting from the taxi pick up point at the Bahns de Tredos car park in the north of Aiguestortes. 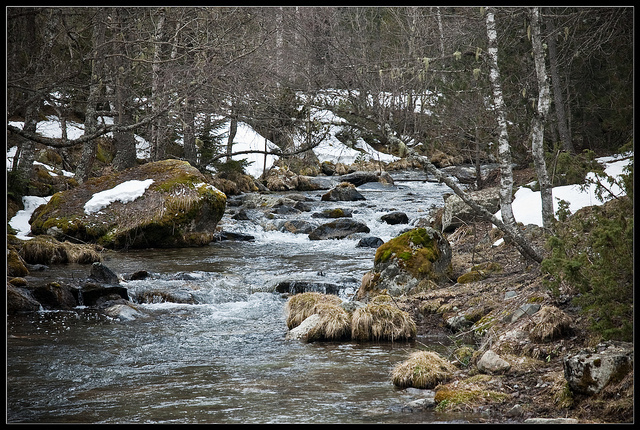 This is accessed from the village of Tredos in the beautiful Val d’Aran, and then a small road which can be pretty tight in places. 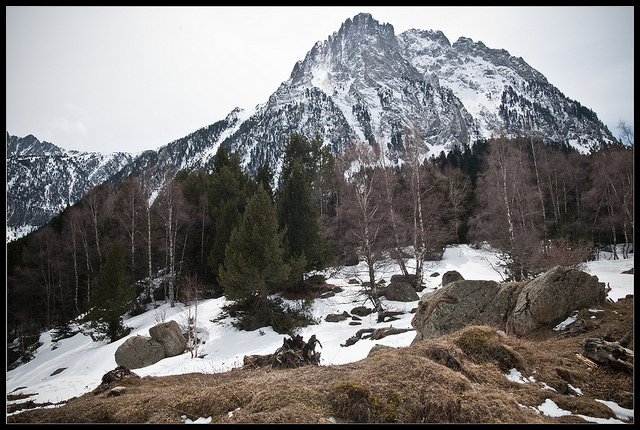 From the taxi drop off point it is a 30 minute walk through meadows up to the Colomers refugio. There are a number of fine circular walks from here including the Circ de Colomers, Saboredo refugio via the Port de Ratera, or the return path over over Port de Caldes to Coret d’Oelhacrestada with an ascent up Montardo (2833m, 2 hours return from Coret d’Oelhacrestada). Once again, Thank you Paul!